A person’s sense of acceptance of a virtual body as his or her own is generally called virtual body ownership. 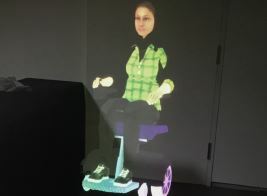 Having such a mental model of one’s own body transferred to a virtual human surrogate is known to play a critical role in one’s sense of presence in a virtual environment. The focus of this dissertation is on top-down processing based on visually personalized body cues. 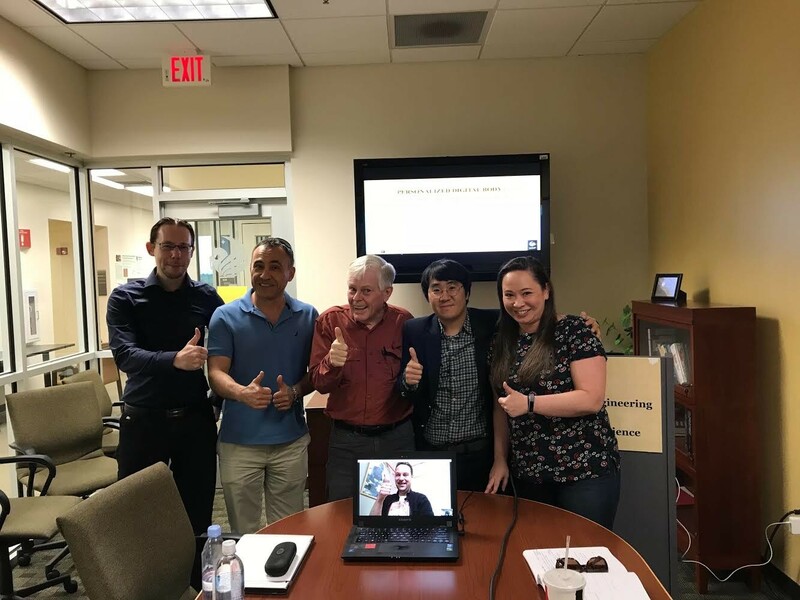 Congratulations to Sungchul for completing your Ph.D.
Sungchul will graduate from the University of Central Florida on May 3rd, 2018. 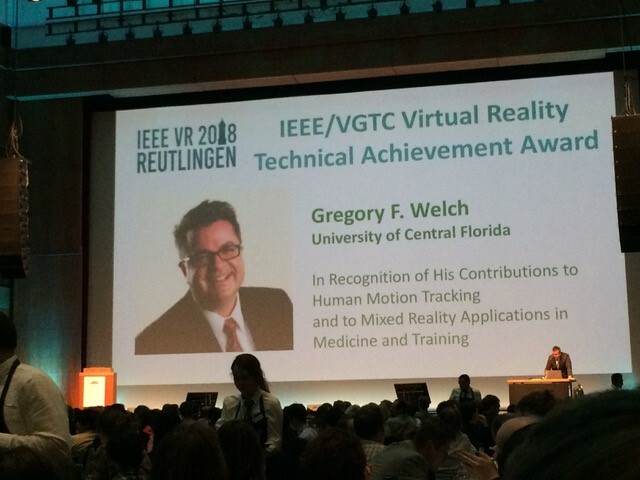 We are pleased to let you know that Dr. Gregory Welch was selected by the IEEE Visualization and Graphics Technical Committee (VGTC) to receive the 2018 IEEE VGTC Virtual Reality Technical Achievement Award. A more extensive award announcement and full citation will be included in an upcoming special VR 2018 issue of the journal IEEE Transactions on Visualization and Computer Graphics (TVCG). Sungchul Jung was awarded a “Dissertation Completion Fellowship” for Spring 2018. 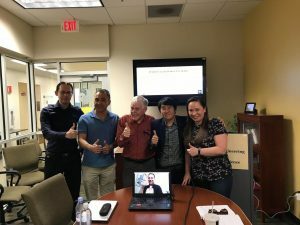 The Graduate Dean’s Dissertation Completion Fellowship aims to increase dissertation completion among doctoral students. This award is intended for students in their final semester of graduate education who have a realistic expectation of degree completion in the Spring semester. The award will allow students to forgo their non-research related employment obligations to concentrate on completing their dissertation. Each college nominates students based on their demonstrated ability to complete high quality dissertation research and the assurance that the awarding of the fellowship will allow the student(s) to complete their dissertation and graduate at the end of the term. Nikhil Patel accepted to Yale’s Computer Science Bachelor’s Program in Fall 2017. Nikhil Patel, a high school research member from 2013-2017, was accepted to and entered Yale’s Computer Science Bachelor’s Program in Fall 2017.